Official keepsake activity journal of the 1,000 Books Before Kindergarten challenge. 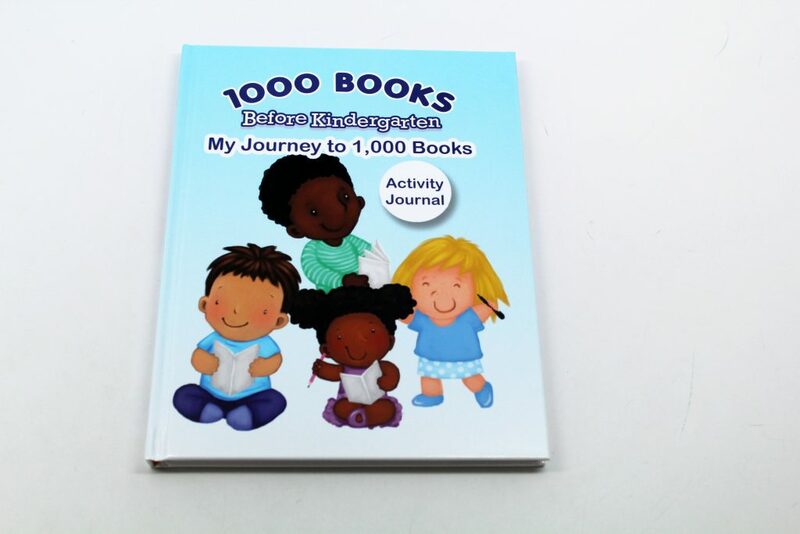 1000 Books Before Kindergarten: My Journey to 1,000 Books (ISBN 978-0-99-072708-8). Use this journal to keep track of the 1,000 Books that you read to your child. 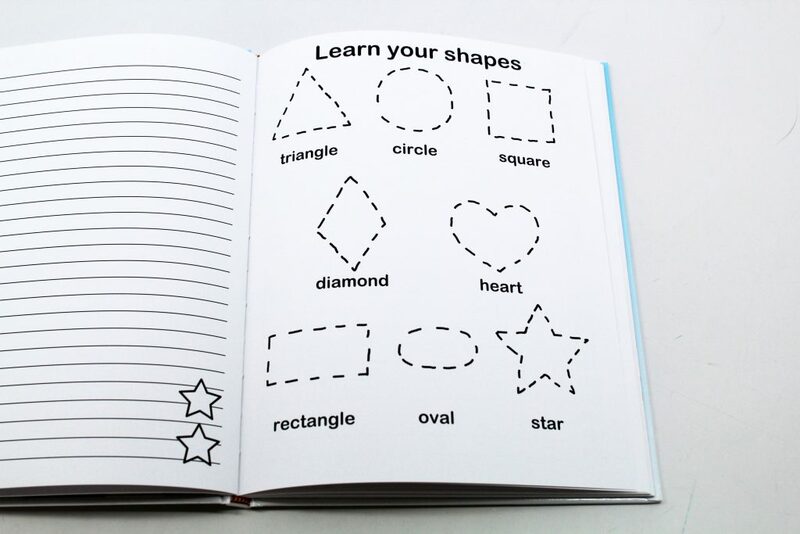 This colorable activity journal is also packed with fun activities such as learn your colors (by coloring balloons); learn your shapes (by tracing), learn your alphabet (and how to write them); learn your numbers; learn your body parts; learn some animals; learn some fruits & vegetables; and learn your months/days of the week and culminates with a frameable certificate of completion. The activity journal is available on Amazon.Com. The journal measures 7 ½” × 9 ¾” and is printed on heavy 105 lb. paper. Please contact us for bulk and/or customized orders for your organization. All proceeds benefit the 1000 Books Foundation, a 501(c)(3) nonprofit public charity. Order directly from the 1000 Books Foundation using the link below and receive free shipping and handling for a limited time. $19.95 for two copies of the activity journal. The 1000 Books Foundation is a nonprofit 501(c)(3) public charity. Contributions to the 1000 Books Foundation are tax-deductible to the full extent allowable under IRS regulations. The Foundation is operated exclusively for charitable, literary, and educational purposes. Reading Tips for Parents prepare your child for a lifetime of reading. Adult Literacy and Education Resources Programs for adult learners and for those who are learning English as a second language. Resources for Teens a collection of materials from the New York City Public Library. Copyright © 2013 - 2017. 1000 Books Foundation. All Rights Reserved.